What is it with the British and nuclear weapons? I’ve lived in the UK half my adult life, but it’s only the current election campaign that has prompted me to ask this question. My answers, so far, are depressing. It’s not that I’ve never before had to think about nuclear weapons. If the Americans had invaded Japan in 1945 rather than dropping those two bombs, my father, interned as a prisoner-of-war and slave labourer in the city of Kobe, most likely would have been shot. I exist because nuclear weapons were invented and I’ve never been passionately anti-nuclear; I just think there’s something peculiar about what I see today in Britain. 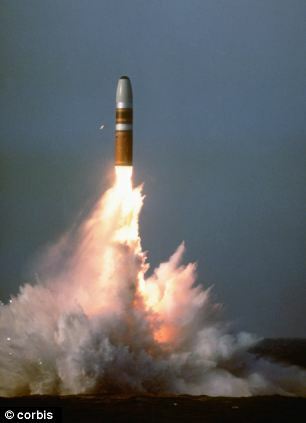 Britain acquired nuclear weapons at the very historical moment when it was losing its empire. While there was no causal relationship between these two developments, I can’t be the first person to suggest that this has led to the inflated significance of nukes in many British minds. Do I need an expert to demonstrate a correlation between nostalgia for the empire and a deep attachment to Trident? Probably, but I’ll go out on a limb regardless. And so, despite any evidence that nuclear weapons are more likely to be used now than at any other time in the past sixty years, despite all the evidence that what the military needs most of all is more conventional equipment, and despite the fact that both main political parties are wilfully leading us into economic decline and diplomatic irrelevance, many people are clinging to the bomb as a sign of British greatness. For Lynton Crosby, it’s doubtless a wondrous dead cat. For the rest of us, it’s a symptom of national delusion. Clinging onto Trident gives us cause to feel powerful beyond our means. Nuclear bombs, to state the obvious, are the ultimate weapons of mass destruction. Even the testing of Britain’s early bombs, in supposedly uninhabited desert in Australia, caused damage to lives that is still evident decades later. Maybe, at a time when warfare has transformed into something that happens in faraway countries, that most of us watch only on television, that’s somehow hard to grasp. After all, we’re capable of watching the destruction of Syrian cities on the telly, then grumbling about the bloody refugees. In the current election campaign, we have a candidate being pilloried for refusing to abandon his lifelong distaste for nuclear weapons. It seems that some people actually want him to say that he would strike first, slaughtering hundreds of thousands of, well, different kinds of people in the cause of a fantasy of British ‘safety’. For a start, this is all a desperate irrelevance; I mean, how many nuclear standoffs has Britain actually had, ever? More disturbingly, it’s an insight into how many British people appear to assess the ‘strength’ of their nation and its leaders. Actually, I’m not sure Britain has ever had a prime minister who would have dealt with a nuclear crisis any differently from how Corbyn might end up dealing with one. Not many outright sociopaths work their way through the Westminster system, whatever their opponents might think of them at the time. But for me, what’s telling about this upsurge of emotion masquerading as rational debate, is what it reveals about the people – maybe many millions of them – who love our nukes. It seems to me this reveals rather a lot about a desire to approach complex problems in simplistic, binary, confrontational, aggressive terms. And it perhaps reveals a lot about Britain in 2017. And in my next post, I promise, I’ll return to higher education stuff. This election campaign is winding me up a bit.